Audi's third electric car, an autonomous e-tron GT Concept, was introduced. The recently released electric e-tron GT Concept , which has been camouflaged by Audi , is now liberated from all of its garments. 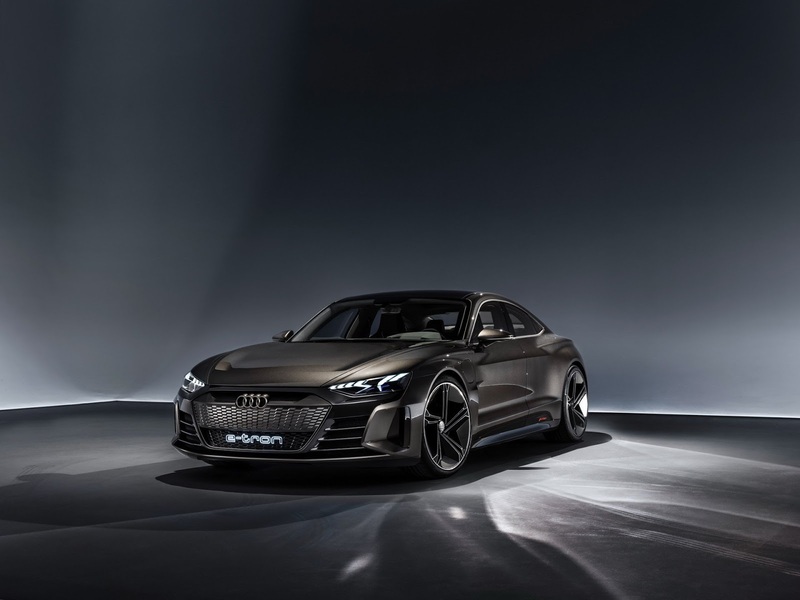 The e-tron GT Concept, resulting from the collaboration of Audi Sport and Porsche , seems to bring a breath of fresh air to the electric car market when it comes to production. Before evaluating the design of the Audi e-tron GT Concept , it is worth noting that the German manufacturer says there will be visually very small differences between the concept car and the production version. In other words, we can think of the concept that stands before us as it will be on the production line. The Audi e-tron GT Concept measures 4.96 m in length and 1.96 m in width . That's the same size as the Audi A7 Sportback . The vehicle's axle distance is measured as 2.90 meters. As mentioned at the beginning, the e-tron GT Concept stands out as a product of the cooperation between Audi Sport and Porsche. This partnership includes the platform and battery pack used . The vehicle will use the same platform as Porsche Taycan is expected to offer a range of 400 km on a single charge . Thanks to the 800-volt system, 80% of the battery can be filled in 20 minutes. Audi says the e-tron GT will not have RS badge models on performance. With a total of 434 kW (582 hp), the twin-motor vehicle is expected to accelerate 0-100 km / h in 3.5 seconds , and accelerate 0-200 km / h in 12 seconds . The maximum speed of the E-tron GT will also be limited to 240 km / h in order not to lower the range. The Audi e-tron GT Concept has an aggressive design, and the Matrix LED headlights with its hexagonal grille, sporty bumper, and lightning-like graphics look impressive. On the side, the vehicle shows muscles and 22-inch wheels surrounded by 285/30 tires are the first striking details. On the back side, we are familiar with the new Audi models and a sporty diffuser. The Audi E-tron GT Concept's cab side looks quite plain. The three-spoke sporty steering wheel, digital dashboard and infotainment screens and the piano black center console stand out in the living area with eye-free details . The touch screens in the vehicle can also be managed with the help of an intelligent assistant . Level in the car's production version.